Billy Mintz & The 2 Bass Band Release of "The 2 Bass Band...Live"
John O’Gallagher is one of the most compelling alto saxophonists and composers at work today on the avant-jazz scene. Based in New York City for over two decades, he has worked with numerous peers and major artists such as Joe Henderson (winning a Grammy for the recording Joe Henderson Big Band), Maria Schneider, Kenny Wheeler, Ben Monder, Bob Belden, Tony Malaby, Drew Gress, Jeff Williams, Nasheet Waits, Richie Beirach among others. His performances have been heard at many international festivals such as the North Sea Jazz Festival, Braga Jazz Festival, Montreal Jazz Festival, Akbank Istanbul Jazz Festival, and Moers Festival. John has received critical acclaim for his six recordings on the Arabesque, Clean Feed, Fresh Sound and CIMP record labels. Downbeat magazine declaring, “the albums all bear O’Gallagher’s exquisite melodic stamp....a roughhewn majesty permeates the music”. As an educator he has conducted workshops around the world at schools including New England Conservatory (Boston, Mass), Hochshule Musik und Theater (Zurich, Switzerland), New York University (New York, NY), Jazzschule Basel ( Basel, Switzerland), Seminario Permanente de Jazz (Pontevedra, Spain), Associacao Gremio das Musicas Jazz Workshop (Tavira, Portugal) Maine Jazz Camp (Farmington, Maine). 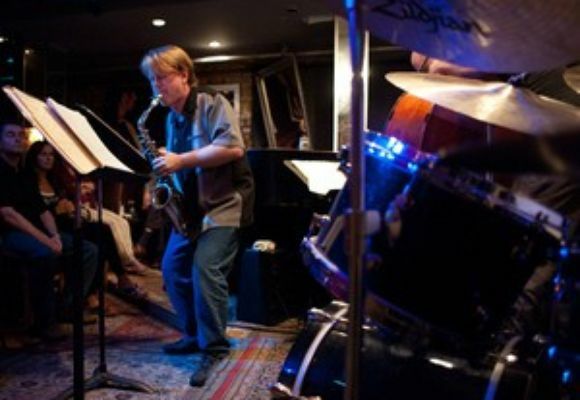 John O’Gallagher is a Selmer clinician endorsing Selmer saxophones and is the author of the book Twelve Tone Improvisation to be released by Advance Music Publishing in 2012.